Our goal is to connect people with the best local experts. We scored plumbers on more than 25 variables across five categories, and analysed the results to give you a hand-picked list of the best plumbers in Burbank, CA. 7 Rico Plumbing Company is a family owned and operated plumbing company servicing Burbank, Glendale, West Hollywood, and Surrounding Areas where customer service is the foundation and backbone of their business. They offer various plumbing services for residential and commercial clients such as drain cleaning and rooter service, trenchless sewer line repair, hydro jet plumbing, re-pipe, water heater repair, and many others. With over 30 years of plumbing experience, customers of 7 Rico Plumbing Company can be assured of a reliable and trusted plumbing company. Action One Plumbing is one of the most respected contractors in Burbank. The firm has been part of the community since 1983, and it guarantees the team’s workmanship to prove its commitment to customer satisfaction. The company is a licensed and industry-certified business, and it is a family-run local establishment that knows how to resolve specific plumbing issues in the metro. Action One Plumbing responds to commercial and residential emergencies 24/7, and the coverage area includes Yorba Linda, San Marino, North Hollywood, Monterey Park, Laguna Niguel, La Habra, Costa Mesa, Beverly Hills, and Los Angeles. The staff does not charge for the custom quote, and it accepts cash, check, and credit card payments. Some of the services are hydro-jetting, copper repiping, and water heater installation. Agent Rooter is a Burbank business that has been serving customers for more than 20 years. Areas the business serves include Pomona, Silver Lake, Malibu, Chatsworth, Fontana, Ontario, Claremont, Sylmar, Mission Hills, Thousand Oaks, Santa Monica, Loma Linda, Arleta, Eagle Rock, Northridge, Baldwin Park, Los Felize, Beverly Hills, Porter Ranch, La Verne, Van Nuys, Fontana, Winnetka, Redlands, and other areas. Services Agent Rooter offers include drain cleaning, drain repairs, pipe lines, leak detection, burst pipes, tankless water heaters, sewer replacement, and copper re-piping. The business also offers 24-hour emergency service as well as a military discount. Customers appreciate their knowledge, quick service, honesty, friendliness, responsiveness, and thoroughness. Candu Plumbing and Rooter, located in North Hollywood, California, is a professional full-service plumbing contractor that serves both residential and commercial clients in the local metropolitan area. The company's services include leak detection, sewer line installation and repair, water heater work, and the repair or replacement of faucets, sinks, emergency shutoff valves, toilets, copper piping, supply lines, and more. Candu Plumbing and Rooter is also equipped to handle video inspection and commercial hydro-jetting services. All technicians at Candu Plumbing and Rooter are OSHA-certified and registered with the Contractors State Licensing Board. Previous clients praise the company for its reasonable prices as well as the timeliness and professionalism of its technicians. Foothill Plumbing offers plumbing services in the Tujunga area. Customers hire the team for a range of needs including water and drain line replacement and repair, sump and well pump repairs, water pressure issues, leaking pipes, faucets, log lighters, gas piping, drain cleaning, and sprinklers, and crews can also handle full fabrication of pipes no longer produced along with specialty fixtures. General plumbing services cover toilets, bathtubs, Jacuzzis, and water heaters, and sewer and drain services include color video inspections, cleanouts, pumps, and trenchless sewer replacement. The company also handles wall and floor heaters, gas company red tags, and swamp coolers. Foothill Plumbing is family owned and operated, is fully licensed, bonded, and insured, and provides honest communication and top-quality work for long-lasting client relationships. Honest Plumbing & Rooter, Inc. is a family owned and operated plumbing company in Burbank, California that specializes in water and gas repiping, pipelining, copper repiping, and trenchless sewer pipe replacement. It has been serving the community for over 24 years, providing its clients with honest, high-quality, and cost-effective plumbing services. Its services also include line cleaning, hydro-jetting, and system maintenance. The company's team of plumbing experts are available 24 hours a day, 7 days a week. LeMire Plumbing Professionals has been a Burbank plumbing service since 2004. The family owned and operated business offers full-service plumbing repairs, repiping, repairs of damaged pipes, boiler repair and service, water heater installs, toilets and faucets, and garbage disposals. Company techs can also handle full plumbing for bathroom and kitchen remodeling projects and will patch and paint any open walls as well as remove all demolition materials. Customers can ask about the group's maintenance plans as well on an annual or semi-annual basis. All plumbers at the company have graduated from plumbing trade schools with many having attended trade schools in Europe, and clients can request a free consultation on services required. Satisfaction is guaranteed, and service is also available 24/7 for major emergencies. New Era Plumbers is a plumbing company in Glendale. The team has been handling plumbing issues for over 20 years and provides services for the installation and repair of water heaters, drain cleaning and snaking, underground plumbing, sewer repairs, trenchless sewer lining, leak repairs, copper repiping including PEX repiping, irrigation systems, and gas repairs. Company crews can also assist clients with all of their plumbing needs for remodeling projects involving kitchens, bathrooms, basements, or full homes, restructures, and room additions and can advise on more efficient fixtures as well for reduced water usage and associated costs. Video camera inspections are also available along with emergency repairs, and New Era Plumbers provides top-quality plumbing solutions on every job at an affordable cost. Plumbing Boys is a Burbank locally owned and operated business that has been serving commercial and residential customers for over 12 years. Areas the business serves include Los Angeles, Pacific Palisades, La Crescenta, Westwood, Malibu, Tujunga, Beverly Hills, Glendale, Studio City, Hollywood, West Hollywood, Van Nuys, North Hollywood, Encino, Pasadena, Tarzana, Sherman Oaks, Westlake, La Cañada, and surrounding areas. Plumbing Boys offers a variety of services including hydro jetting, back flow prevention, copper re-piping, sewer installation, sewer repair, sewer cleaning, drain cleaning, leak detection, camera inspections, gas lines, faucet installation, faucet repair, tub installation, tub repair, shower installation, shower repair, sink installation, sink repair, toilet repair, garbage disposal repair, and emergency repairs. Customers appreciate their honesty, punctuality, price, and customer service. Plumbing Brothers and Rooter is a professional plumbing and construction contractor in North Hollywood, California that serves residential and commercial clients throughout Sherman Oaks and the surrounding metropolitan areas. The company has more than 25 years of experience in the industry and is available around the clock for emergency plumbing needs. In addition to water heater installation, Plumbing Brothers and Rooter specializes in sewer line repairs, repiping, slab leak repairs, water softeners, septic tanks, garbage disposals, faucets, fixtures, hydro-jetting, bathroom remodeling services, and more. Also, Plumbing Brothers and Rooter offers prospective clients a free estimate on its services. The company is praised by former clients for the diligence of its technicians and the quality of its overall work. Turbo Plumbing Service, Inc. serves residential, commercial, and industrial clients, bringing almost a quarter of a century of industry experience to the job. It is a full-service, independently owned plumbing specialist whose areas of expertise include leak detection, water line repair, water heater repair, and tankless water heater installation. It also replaces toilets, sinks, and garbage disposals, as well as undertaking copper repiping. People can rely on Turbo Plumbing for their heating needs: it repairs and replaces wall heaters, floor heaters, gas space heaters, and more. The company is open for business 24 hours a day and seven days a week. Turbo Plumbing enjoys an excellent reputation among local homeowners and businesses: its customers are quick to praise its honesty and integrity, and they are particularly pleased with the affordability of the prices here. Twins Plumbing brings over 25 years of plumbing experience to clients throughout Glendale. The family owned and operated company features flexible scheduling, free estimates on the job site, no hidden charges, and top-quality work on general plumbing, hydro jetting, rooter service, and sewer camera inspections as well. 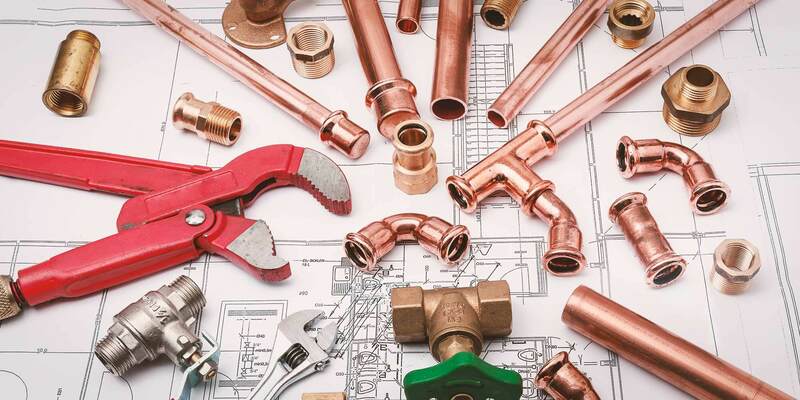 Specific services cover copper repiping, cleanout access installs, plumbing and fixtures for bathroom and remodeling work as well as new additions, earthquake shut-off valves, waste and overflow repairs, grease traps, urinals, garbage disposals, toilets, and pressure regulators. Additional services cover sewer pipe repair or replacement and water heaters and tankless water heaters, and techs at Twins Plumbing also handle water and gas pipes, repair and replacement of Sloan flush valves, and irrigation system services as well. Western Plumbing Co is a La Crescenta business that has been serving customers for more than 27 years. Areas the business serves include Glendale, Pasadena, La Canada, Burbank, and La Crescenta. Services Western Plumbing Co provides include leaking faucet repair, garbage disposal repair, water heater installation, clogged sinks, pressure regulators, water main re-piping, new shower valves, tile repair, plumbing repairs, plumbing installation, plumbing remodeling, and handy work. The business offers free estimates and is always available to help customers with plumbing services and emergencies. Customers remark on their honesty, professionalism, knowledge, quick service, prices, quality of work, punctuality, reliability, and helpfulness.